The Doones are a clan of murdering thieves, and among their victims is John Ridd's father. The strong, noble Ridd determines to avenge his father's death; but his plans are complicated when he falls in love with one of the hated family – the beautiful Lorna. Lorna is promised against her will to another; and that other will not let her go lightly. 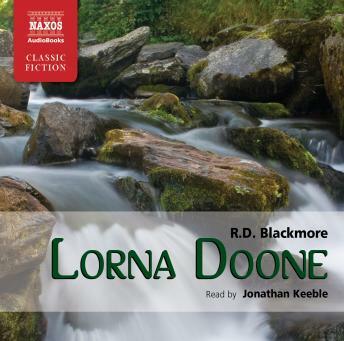 Set amid the political turmoils of the late 17th century, Lorna Doone brings West Country history and legends alive with wonderfully imaginative fiction. Brimming with vivid descriptions and cliff-hanging action, it is a true classic of romantic adventure.